With a rich combination of historical and artificial wrecks the Maltese Islands are the Mediterranean's answer to Scapa Flow and Truk Lagoon. On Gozo we have two artificial wrecks, open to penetration, including the Karwela with its often photographed staircase. 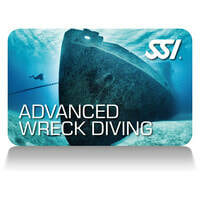 These wrecks will be your classroom on this course where your instructor will teach you overhead environment buoyancy and finning techniques, guide-line protocols, light communications and gas management principles. After completion you will be well prepared to safely make penetration dives within the visible light zone of wrecks.